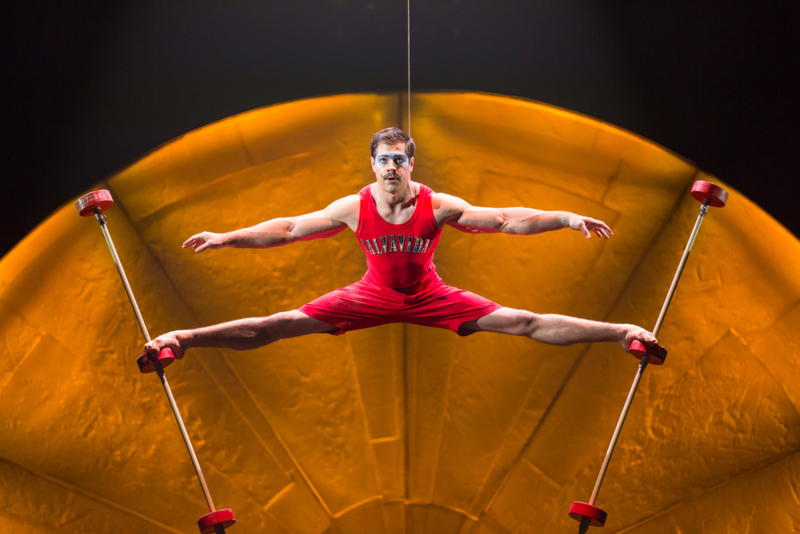 If you still haven’t made it to a Cirque du Soleil performance, you may still think of the circus as clowns with red noses, animals balancing on balls, and a traditional ring master leading the way. 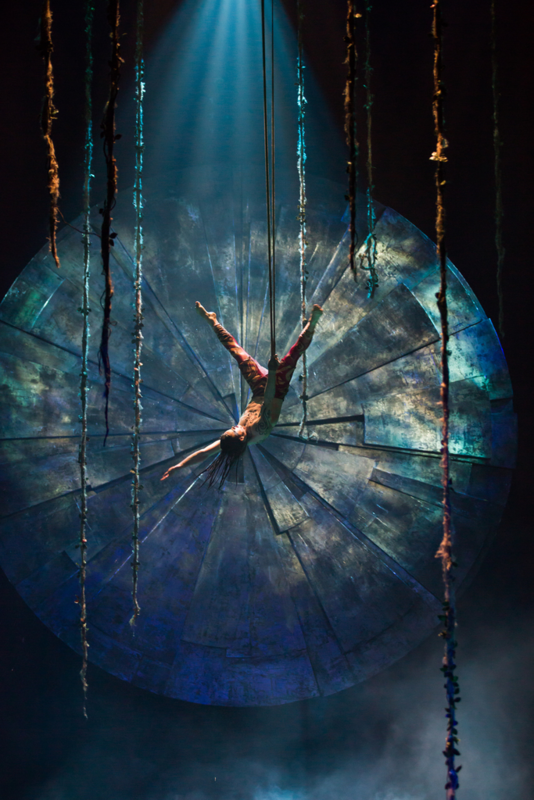 We were invited to the premiere of LUZIA by Cirque du Soleil in Boston for our review, and I have to say that of all the Cirque du Soleil performances we’ve seen, LUZIA is most likely to strip away your stereotypes. The show is absolutely breathtaking. 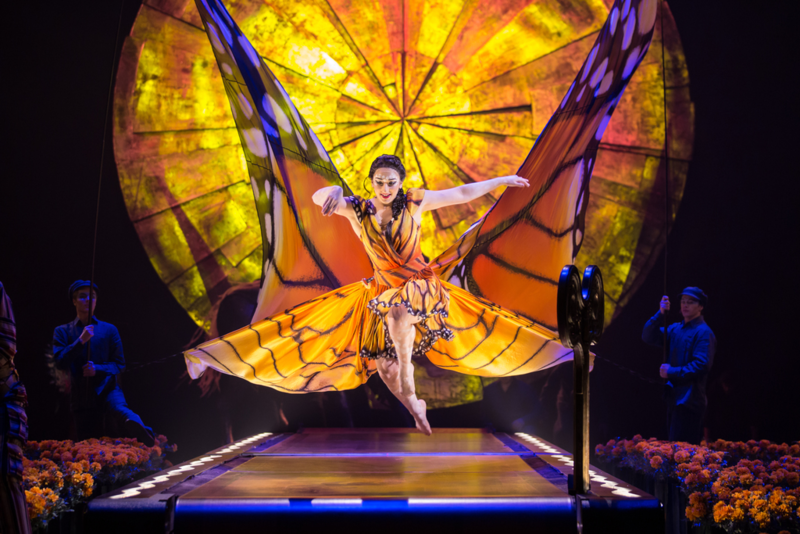 LUZIA is meant to be “A Waking Dream of Mexico” and every single moment is splashed with vivid colors, festive performances, and beautiful music. It’s simply delicious to take in. Of course, it IS a circus, so there are plenty of extremely talented circus artists showing off their skills. The swing act had me so nervous I could barely watch! You’ll note that I have a lot of photos in this post – I had a hard time choosing favorites. But I also wanted to show the artistry in the costume and set designs. Every moment felt like a living painting. LUZIA also incorporated a lot of water to the show, which is something you don’t typically see in circus performances. This strap artist had a pool of water to work in and each time he spun into the air, the arcs of water became part of the art. And, yes, people in the front rows got wet. Even this static trapeze artist (and her companion Cyr Wheel performers seen above) performed in the “rain.” It was amazing. In addition to all of the artistry I’ve been gushing over, there was a lot of technology involved, which is also something people don’t usually associate with circus. I’ve included a video from Geek Wire, which talks about some of the tech and how it all works. One of the most awe-inspiring was the curtain of water that served as the rain… they were able to create images in the water as it fell. He explains how it all works in the video. Sigh. Now I want to go back and see it again! Cirque du Soleil’s LUZIA is in Boston until August 12. I can’t recommend it enough. Kids will love it. Adults will love it. And if you speak Spanish, you might even love it more as the dialogue and songs are all in Spanish. 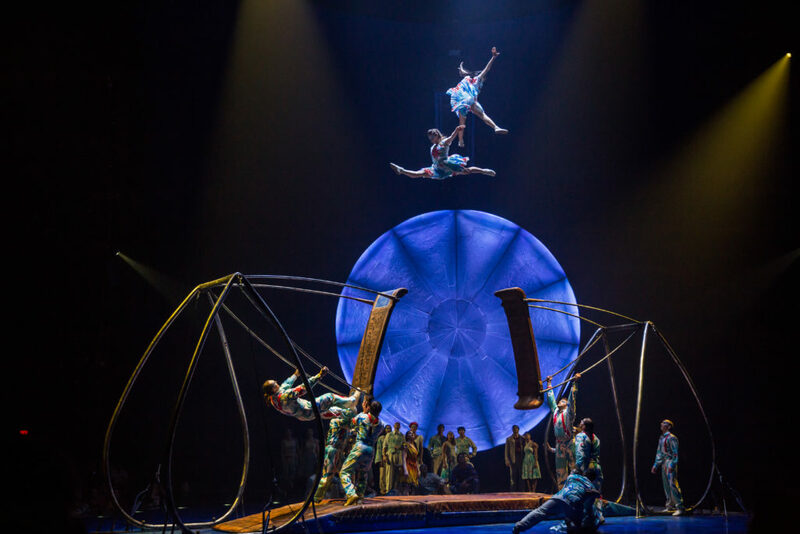 Kurios has been my favorite Cirque du Soleil show, but LUZIA may just have nudged its way into first place. 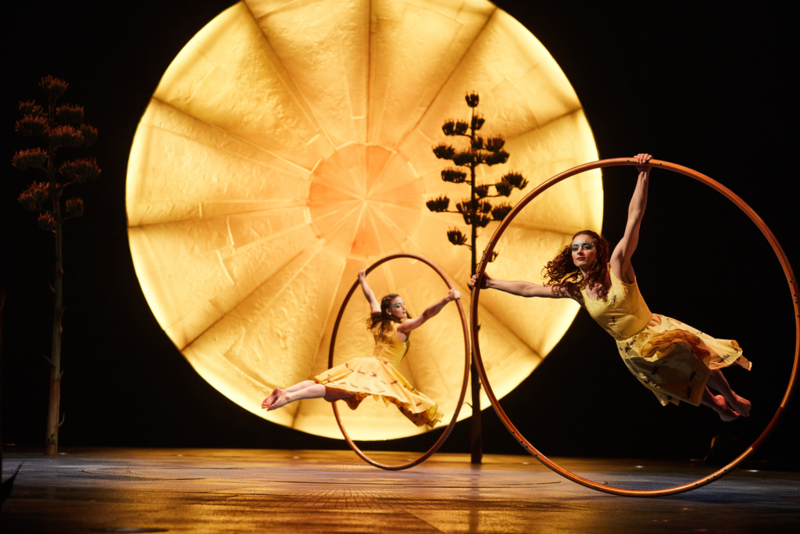 LUZIA by Cirque du Soleil runs 2 hours and 5 minutes, with a 25 minute intermission. There were a few moments of adult humor, but kids will likely not notice/get it. There was also some strobe lighting. While we loved all of the colors, sounds, and experiences, it could easily be sensory overload for kids who are prone to that. And, as a reminder, yes, you’ll likely get wet in the front rows. Lastly, if you enjoy interaction with performers, you’ll want to sit along the aisles (there is a large circular aisle in the middle of the seats, as well as the normal aisles leading away from the stage). Disclosure: We received complimentary tickets for review purposes. No additional compensation was provided and all opinions are my own.